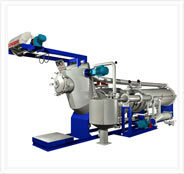 The Programmer for Dyeing Machine Automatic Operation is widely used to control the rate of rise and fall during the process of thermoregulation. These programmers possess high level of accuracy and are acclaimed for their durable standards and rugged construction. In order to offer a user-friendly programmer, it is incorporated with various easy to understand and operate mechanisms. Being semi automatic, these programmers also eliminate errors associated with manual operations. 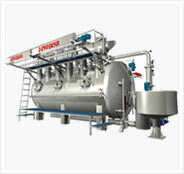 By installing these programmers one can avoid any sort of uneven dyeing or allied problems. 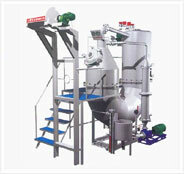 Programmer for Dyeing Machine for Partly Automatic Operation is ideally used for automatic operation of the main vessel. These programmers are designed and developed by engineers as per universally accepted norms, which elaborate in their user-friendly interface and convenient operations. The range of programmers has 16*2 LCD display that shows message commands in simple English language. 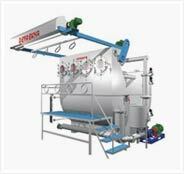 An additional benefit of these programmers is that these increase the working efficiency of machine, hence optimizing dyeing energy as well as time. 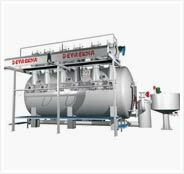 Programmers for Dyeing Machine for Fully Automatic Operation eliminate any kind of manual error related to the dyeing process. These easy-to-operate programmers are suitable to be installed in dyeing machines as the production capacity is significantly increased by their fully automatic mechanism. In addition to this, these products display temperature, time, gradient and others on 20*4 LCD screen that can be easily be understood by the operator. Programmers also have 4 analog input cards that can be expanded up to 4 to 20 ma, as per the end users' specific requirements. 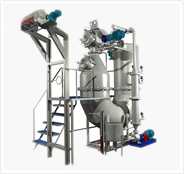 Automatic function of color tank like fill ct, drain ct, mv to ct, ct to mv(inject ct) ,dosing ct etc. Controllers for Dyeing Machine Control are equipped with robust operating system, ideal for industrial applications. These controllers use parallel programming, which results in the reduced process time. Advanced panels of these controllers have separate mcbs, inverter, choke, spacious panel and several excellent features, thus, enhancing their efficiency. Besides, for safety purposes, these controllers are equipped with limit switches, separate pressure switches, air inlet pressure failure alarm, stand-by extra temperature controller and alarms for over pressure as well as over temperature. Separate inverter for mainpump, inside winch, platting, dosing etc. 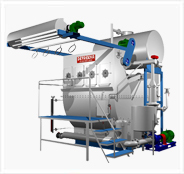 This Relax rotary drum washer machine, rotary drum washer, rotary drum machine, relax rotary drum washer which are especially developed shrinking process for bulkiness and gooji effect on synthetics fabric. Also able to process like sizing, scouring & creasing. 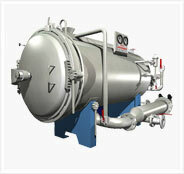 Process can be done in high temperature high pressure. Fabric is loading from front door in inside specially developed octagonal basket and that basket rotating forward & reverse direction with the help of inverter.